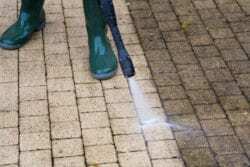 Power Washing Company Cincinnati | Pressure Washing Cincinnati : Miller's Power Wash, Inc. 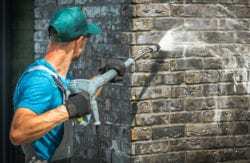 Exterior cleaning of surfaces ranging from renewing the appearance of your residence or business to restaurant hood cleaning to post-construction cleanup. Are you searching for information about a reliable power washing company in the Cincinnati area? If you need the cleaning services that a power washer provides, we have solutions. Miller’s Power Wash has been the most reliable and trusted mobile wash firm in the Ohio and Indiana area for more than two decades. Our reputation throughout the entire region has been built by committing ourselves to quality service for commercial businesses, residential homes and industrial facilities, both for indoor and exterior projects. We have a reputation for satisfaction, efficiency, honesty, and professionalism. We provide competitive prices, unparalleled service and overall value. The methods which we have developed and used throughout our history ensure that your exteriors are properly cleaned. We use varying water temperatures, safe chemicals and the appropriate levels of water agitation. The results are impressive. In addition to our high standards of cleaning, we operate every aspect of our business in a professional manner. When there is damage to the exterior of your house or other structure, insurance claims may be involved. We exceed the limits of state and federal insurance mandates and also maintain compliance with Workers Compensation audits. We follow the necessary safety protocols in order to protect the investments of our customers. We can supply information about our insurance certificates, safety certifications and references upon request. Businesses and residences today often are surrounded by concrete surfaces. Concrete is a naturally porous material and can be encompassed by algae, dirt, petroleum products, and mold. The products can become embedded in the crevices and pits in the surface. Even scrubbing the surface with over-the-counter products may be less than effective and can be quite time-consuming. Contacting us for power washing saves you time which can be enjoyed for other activities. Using our methods and equipment means your concrete surfaces are cleaned in a short time. The surfaces are left clean without breaking the budget since we strive to produce the best results at a minimum cost. We understand our responsibility to protect the environment and make use of environmentally friendly cleaning agents. if you want to keep your concrete patios, walls, and driveway as clean as possible at a negligible cost. We clean the concrete, and can also provide a range of sealer types including natural sealers and glossy types for decorative concrete. If you need to find dependable pressure washing in Cincinnati, we have the skills and the equipment. Call 812-871-8649 for a free quote today!